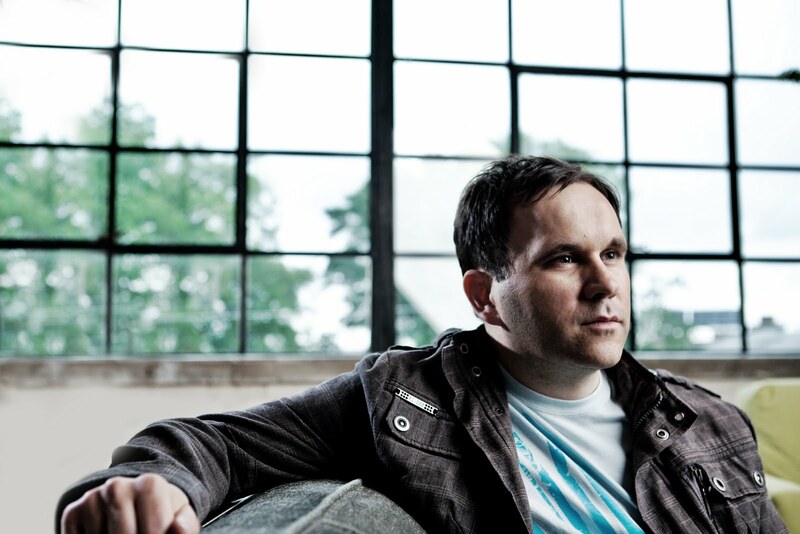 Matt Redman has been leading worship full-time since the age of 20. His journey has taken him to countries such as South Africa, Japan, India, Australia, Germany, Uganda, Croatia and the Czech Republic. He has worked with many church plants and is currently involved with St Peters, a new church planted out of HTB in London. His early compositions include "The Heart of Worship," "Better Is One Day" and "Once Again." More recent songs have included "Blessed Be Your Name" and "You Never Let Go" (both written with his wife, Beth). Redman is also the author of three books which all center on the theme of worship: The Unquenchable Worshipper, Facedown and Blessed Be Your Name (co-authored with Beth). Plus he has compiled two other books: The Heart of Worship Files and Inside-Out Worship. Redman and his wife currently live on the south coast of England with their five children. Matt Redman invites readers to reflect God's dazzling radiance. When God shines upon His church, we become a dazzling testimony to His awesome radiance. You may feel ineffective. You might have lost confidence in your ability to shine. You may think you are too small or inconsequential to ever be of any value in the kingdom of God. But no matter at all—for, in the end, it is all a matter of light. His light. The life of worship never begins with you. It starts and ends with Jesus. 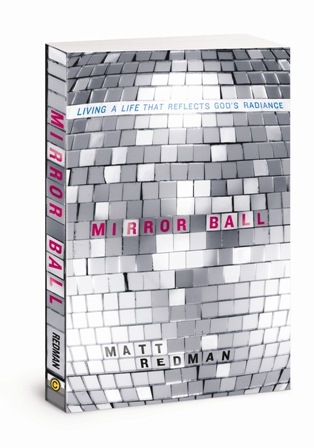 In his newest book, Mirror Ball: Living a Life that Reflects God's Radiance, worship leader and songwriter Matt Redman reminds us that even when we feel insufficient to reflect God's glory, God can show through us as light radiates through a prism. Living in this truth will transform how we view our words, our relationships and our daily lives. Passion is not only that which gets us up in the morning; it helps us see it through to the end of the day. And for anyone who has truly encountered the wonder of the cross, it soon becomes a way of life. If you're looking for a heightened way to tell God you love Him, the very best way has little to do with stringing poetic sentences together. It involves a life laid down in service and adoration. The concrete evidence of whether worship has lived or died in us will always be our lives. We sing our songs with good intent, but in the end our lives must become the evidence. In and of ourselves we have no light. But in His bright and shining light we are transformed and begin to radiate the glories of our God to the world around us. You may be feeling totally inadequate for that task. But if so, you have simply forgotten the most important part of the equation. It is not about you and your best efforts. It is the light, power and love of Christ illuminating our fragile lives. Through story, Scripture and practical inspiration, Redman encourages his readers to remember that, however inadequate they may feel to live out this passion, God will work in and through them. After all, the same God who said "let there be light" has made His light to shine in their hearts, illuminating their lives and the lives of those around them. It’s New Year’s Eve in downtown Nashville, and things are getting crazy. There’s a mood of fun and festivity everywhere you look. And inside the biggest arena of all, two of the most popular country acts in the nation lead thousands of fans in a celebration of the end of one year and the beginning of the next. The music cranks up loud and the shouts of the audience respond in kind. The truth is, people love to party. I once met a man who’d survived a shark attack by screaming so loudly that he burst blood vessels in his neck. His ear-piercing cries gave the shark so much of a headache that it gave up the attack and swam away. Where did such a loud scream come from? It came from deep inside him—from the very depths of who he was, crying out for mercy and survival. So on the last night of the Passion student gathering that year, my good friend Louie Giglio, the founder of Passion, decided we were going to throw the party to end all parties. No low-key affair with some semiloud music and a halfhearted whoop or two—but a full-on, turn-it-up-loud celebration of the Son of God. The point being that if we truly live in the light of Christ and all that He has accomplished, there’s a time to be a little bit outrageous in our gathered response to Him. The day of the worship-fueled party arrived, and things were beginning to happen inside the arena. People hung extra lights and prepared song lists, and everything looked good for some extreme celebration. Apart from one thing, that is. Louie had been excitedly talking about a mirror-ball moment, which he’d planned for a while. At just the right time, during a joyful worship song, he planned to lower this thing, shine some lights on it, and give a little extra visually creative expression to these full-on celebrations. The first time I heard about the mirror ball, it sounded like a good idea—until I entered the arena, that is. Hanging above the center of the stage was a tiny spherical object, and as I strained my eyes to see it, I thought the object certainly looked like a mirror ball. But I was sure this couldn’t be Louie’s mirror ball: It was tiny—the kind of thing I’d seen every year from the age of seven at my school disco. Yet—I looked around—there didn’t seem to be any other mirror balls hanging up there. And so I had to conclude that this must be the one he was talking about. Quite frankly, I was worried. I decided that we were headed for the biggest anticlimax in the history of Christian worship gatherings. Louie had told everyone on the team about this great disco-ball moment that would help lead us in our joyful worship celebrations—when, as far as I could tell, it was going to be a moment of laughter for all the wrong reasons. I wanted to be a good friend and warn him—but he was so pumped about his little mirror ball, I just didn’t have the heart. As it turned out, I needn’t have worried. The evening was wonderful. The thousands of students assembling that night to worship Jesus arrived in silence—as we’d been encouraged to do to prepare our hearts for gathered worship. Through songs and sounds and moments of ancient liturgy, we went to the cross. There we recalled the most amazing act of obedience and sacrifice this world has ever seen. We paused for a while, and I was reminded once again that God makes worshippers out of wonderers. As our hearts breathed in afresh the mystery of grace, we exhaled reverent awe and thanksgiving in response. The soul-gripping mystery of Calvary fueled the fires of our praise, and remembrance led us to rejoicing. Next, we began to turn up the volume a notch or two, with heartfelt songs of devotion resounding intensely around the room. In Scripture, Jesus Himself said that out of the overflow of the heart the mouth speaks—and as we stood there in amazement at the grace and glory of God, sounds of joyful thanksgiving tried to find a way out of our hearts. And then the moment arrived. Mirror ball time. Down from the ceiling came the world’s smallest disco ball. I didn’t know whether to laugh, cry … or get my binoculars out to actually see the thing. However, in one bright, shining moment, all of my fears died. Powerful beams of light hit the face of the ball, and suddenly, in every corner of that massive arena, radiance shone all around. Light filled the room. It seemed to glow on every face and shine on every inch of floor, wall, and ceiling. A huge arena filled with light—by way of a tiny little mirror ball. And people partied. In that moment, focusing on the glory of the Savior and celebrating His victories, we shouted for joy and danced with abandon. It turns out that in all my doubting and questioning of Louie’s mirror ball, I’d seriously underestimated the most important factor—the power and brilliance of the beams of light that shone upon it. In the end, it was all a matter of light. When it comes to a life of worship and mission, the very same rules apply. In and of ourselves we have no light. But in His bright and shining light we are transformed—and begin to radiate the glories of our God to the world around us. 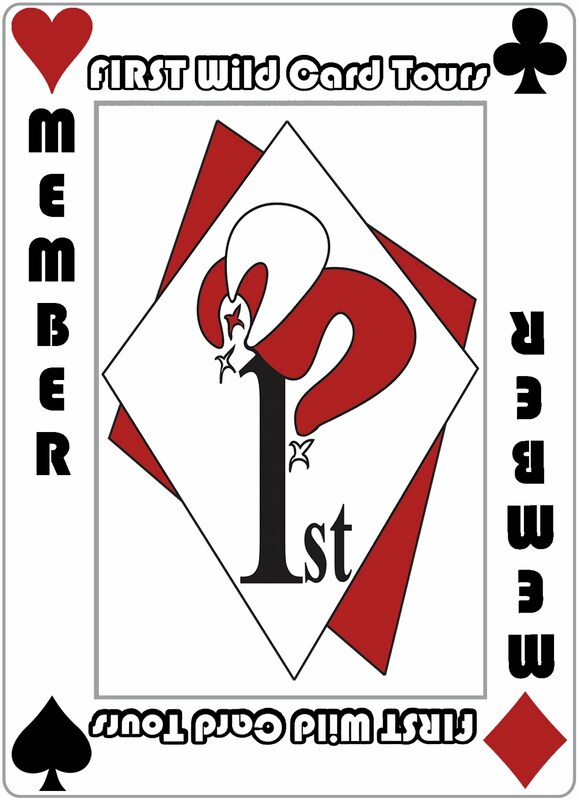 You may be feeling totally inadequate, far from ready for that task. But if so, you have forgotten the most important part of the equation. It is not about you and your best efforts. It is about the light, power, and love of Christ illuminating our fragile lives. As Scripture reminds us, the same God who said, “Let there be light,” has made His light to shine in our hearts. When God shines upon His church, we become a dazzling testimony to His awesome radiance. You may feel ineffective. You might have lost confidence in your ability to shine. You may think you are too small or inconsequential to ever be of any value in the kingdom of God. But no matter at all—for, in the end, it’s all a matter of light. His light. The life of worship never begins with you. It starts and ends with Jesus. Back to Nashville for a moment. I left the arena that night inspired by the shouts and the songs that had been poured out in that place. But the mirror ball left a really big impression. It reminded me of our ultimate call as we live on this earth—to shine all around for the glory of God. Then another thought hit me: So often we equate passion with volume and energy, and surely that can play an important part. But when it comes to true passion, ultimately those things are just the tip of the iceberg—the part most on display. However, God looks beneath the surface, searching our hearts. Yes, God does call us to sing. He calls us to sing loudly, boldly, joyfully, and reverently before Him. Just check out the exhortations in so many of the psalms for evidence. God loves a shout of praise or a joyful noise brought in His name. These things are great and important ways of expressing the explosive celebrations happening in our hearts. But to complete the integrity of these offerings, God is looking for a people who will take their passion to the next level and begin to shine His light in their everyday lives. A people who will stand in the light of who He is and reflect His wonders for all the world to see. We see the light. We celebrate the light. And we send the light. Lives of passion step outside the normal and rational and give all they have gladly and generously. I love this definition of passion being made popular by Louie: “Passion is the degree of difficulty we are willing to endure to achieve the goal.” Defined in this way, passion becomes a life laid down in extravagant surrender—thoughts, words, and deeds thrown wholeheartedly into the mix even when it costs us something. Or indeed, costs us everything. This definition also brings us right back to the cross. The passion of Jesus shows us the most heightened example we will ever see of “the degree of difficulty we are willing to endure to achieve the goal.” At Calvary we encounter the Savior of the world—who, for the joy set before Him, endured the cross and scorned all of its shame. He underwent agonies we could never imagine. If we were to look at the cross simply through the lens of physical torture it would be grueling enough in and of itself. The cross was one of the most gruesome and painful forms of capital punishment this world has ever seen. Yet this was no ordinary crucifixion. For here was the Son of God—He who was pure and faultless—becoming stained by our sin and shame. The One so accustomed to the peace and joy of heaven encountered the depths of earthly shame, suffering, and pain. He had no sin and instead became sin for us. He who existed in close communion with the Father felt the cruelty and dark loneliness of Gethsemane and Calvary. Add all of these factors together, and you are left with a cross that is not only physically heavy to carry—but one that is unfathomably heavy to bear in spiritual, emotional, and psychological terms. Yet Christ did so. And, astonishingly, He chose to do so. That is the ultimate display of passion. A passionate obedience to the Father and an unwavering commitment to His mission see Jesus through the loneliness of Gethsemane and to the cross. This really is the passion of the Christ. And the passion of the worshipper must take on the very same characteristics. Song and dance are the result of an excess energy. ourselves with vitality we dance. But passionate worship is never a matter of merely getting the words and tune right or raising a loud shout. The true test of our passion for God will always be our lives. If I’m looking for a heightened way to tell God I love Him, the very best way has very little to do with stringing poetic sentences together. It involves a life laid down in service and adoration. The concrete evidence of whether our worship has lived or died in us will always be our lives. We may sing our songs with good intentions, but in the end our lives must become the evidence. Singing is easy. The proof is always in the living. Or even the dying. Will the music in our hearts subside when the going gets tough? Will we be distracted or discouraged from our cause when the conditions aren’t favorable? Will the fireworks of our excited hearts come to nothing more than a momentary spark that fizzles out, never to be seen again? Or could we prove the flames of our passion even in the furnace of difficulty, inconvenience, and endurance? Passion is not only that which gets us up in the morning—it helps us see it through to the end of the day. Passion finishes what it begins and makes good on its promise of running the race with perseverance and turning good intentions into fulfilled dreams. Passion is always more than a party. It’s a story of guts and glory, pain and purpose. And for anyone who has truly encountered the wonder of the cross, it soon becomes a way of life. Copyright 2011 Matt Redman. Mirror Ball published by David C Cook. Publisher permission required to reproduce in any way. All rights reserved.